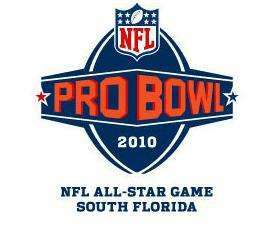 The 2010 Pro Bowl was held on the weekend before the Super Bowl, the first time ever that the Pro Bowl was held before the championship game, and the first time that the Pro Bowl was held somewhere other than Aloha Stadium in Honolulu since 1980 (1979 season). NFL Commissioner Roger Goodell said the move was made after looking at alternatives to strengthen the Pro Bowl. The game was moved up in order to prevent a conflict that would have taken place if the game had taken place on February 13 or 14, with the game facing against the NBA All-Star Game, Winter Olympics, and Daytona 500. Due to the change, players from the conference championship teams, who were going to play in the Super Bowl the following week—the Indianapolis Colts and New Orleans Saints—did not participate. As a result, for the first time in Pro Bowl history, rosters for the AFC and NFC teams were not allowed to include any players from the teams that would be playing in the Super Bowl to avoid major injuries to members of either team. However, these players were still required to be on site for the Pro Bowl to collect a bonus payment from the NFL. Several NFL players spoke out against the decision regarding timing of the game; ten-time Pro Bowl quarterback Peyton Manning raised issue with the possibility that if the concept of rotating the location of the game were to continue, the 2012 game could be held in a cold-weather city (Indianapolis) not seen as a winter vacation destination. NBC sportscaster Al Michaels was skeptical of the changes, telling the Honolulu Star-Bulletin that "the [NFL] thinks playing it before the Super Bowl will add to the buzz. It won't." Indianapolis Colts president Bill Polian also came out against the change, explaining that it seemed disruptive and "stupid" to have players voted to the Pro Bowl, only to have to sit out because they're playing in the Super Bowl, but still have to show up to the game to collect a bonus payment. ESPN aired the game instead of CBS, which aired the 52nd Grammy Awards that evening. The game was the first Pro Bowl to be legally broadcast on internet radio. As part of a catch in the league's broadcast contracts, the Pro Bowl has, to this point, never been broadcast on the NFL's FieldPass system due to it being broadcast exclusively by Westwood One. The NFL had negotiated internet broadcast rights with all 32 of its teams, but never did so with Westwood One (since it was seen as redundant); since none of the 32 teams actually play in the Pro Bowl, FieldPass did not hold rights. When contracts were renegotiated in 2009, Westwood One's broadcasts were added to FieldPass, and along with it, play-by-play of the Pro Bowl. The Sports USA Radio Network provided the commentary for Westwood One, with SUSA's Larry Kahn on play-by-play and Dan Fouts sharing color commentary with Westwood One's Boomer Esiason. 1 2 3 "Pro Bowl to precede Super Bowl". ESPN. December 30, 2008. Retrieved December 30, 2008. ↑ "Offenses light up soggy Pro Bowl scoreboard as AFC comes out on top". ESPN. 2010-01-31. Archived from the original on 4 February 2010. Retrieved 2010-02-02. ↑ "2010 Pro Bowl moving to Miami, will be played before Super Bowl". NFL.com. December 30, 2008. Archived from the original on 2 January 2009. Retrieved December 31, 2008. ↑ "Players prefer the league's all-star game to stay in Hawaii". NFL.com. February 4, 2009. Archived from the original on 7 March 2009. Retrieved 20 March 2009. ↑ "Williams' success at MU doesn't surprise Crean". JSOnline.com. February 9, 2009. Archived from the original on 16 March 2009. Retrieved 20 March 2009. .
↑ Colts’ Polian calls new Pro Bowl setup ’stupid’. NFL.com. Retrieved 2010-01-27. ↑ Best, Neil (March 12, 2009). "NFL eschews ESPN, sticks with Westwood One radio". Newsday. Retrieved 20 March 2009. ↑ "Shoulder keeps Big Ben out of Pro Bowl". Fox Sports. Associated Press. 2010-01-20. Archived from the original on 23 January 2010. Retrieved 2010-01-20. ↑ Wilson, Aaron (2010-01-21). "Wilson: Palmer could have gone to the Pro Bowl". National Football Post. Archived from the original on 30 January 2010. Retrieved 2010-01-21. ↑ "Sheldon Brown turns down Pro Bowl". Philadelphia Daily News. January 26, 2010. Archived from the original on 29 January 2010. Retrieved 2010-01-27.